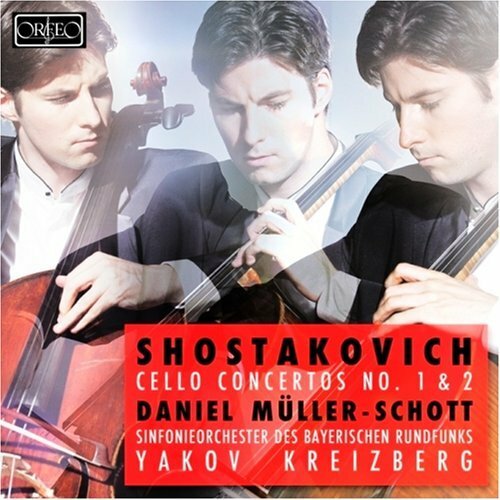 Dmitri Shostakovich wrote what are probably the two most important cello con certos of the past 100 years. They both came late in his career – 1959 and 1966 respectively – and the one grew out of the other. Both are anguished and brooding, except when they lurch forward into a kind of danse macabre. This is music that was inspired by cruelty and ugliness in the Soviet Union and one is left with very dark thoughts indeed after hearing either of these pieces. Two new recordings have appeared almost simultaneously, each one containing both concertos. And the soloists – both in their twenties – are among the most gifted performers on their instrument to come to prominence in years. Müller-Schott won the Tchaikovsky Competition at age fifteen, while Maslennikov won the International Young Soloists Competition in Moscow at the age of twelve. On the basis of these recordings I would have to say that both cellists are wonderful artists up to the greatest technical challenges and able to make the instrument express the full range of human emotions. What is more, I could not possibly choose between them. 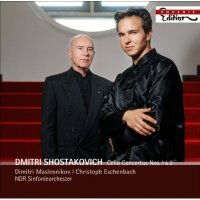 The soloists play well, their orchestras and conductors are excellent and the recording engineers have done fine work. And one can’t even choose between the instruments either: both cellists are playing Goffriller cellos made around 1700! Arthur Loesser's Well-Tempered Klavier Revived!